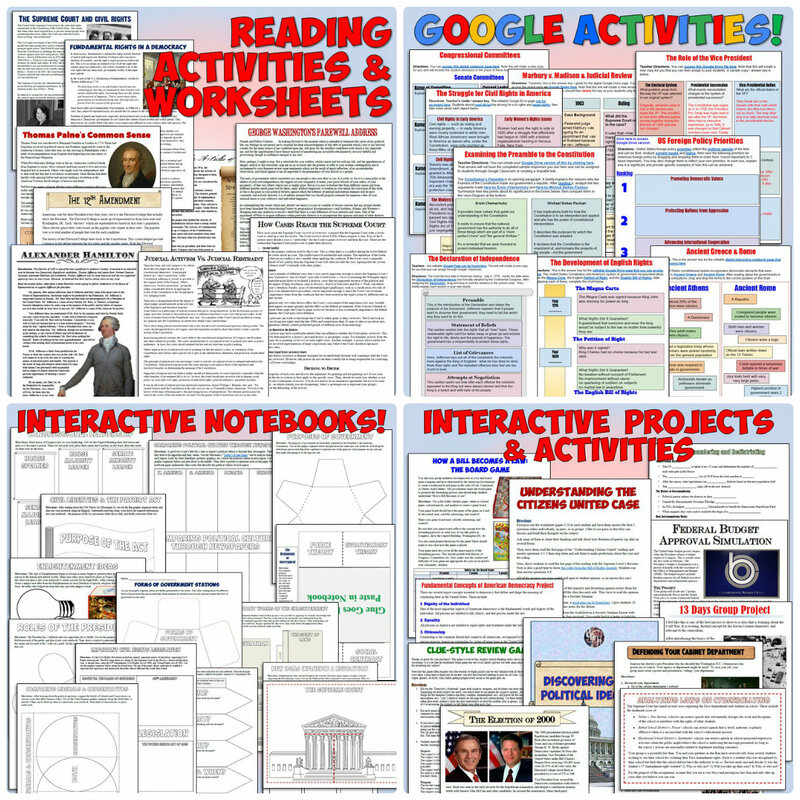 Civics and Government Curriculum Now Available on TpT! Exciting news! My Civics and Government Curriculum is now available on TpT! The download includes over 300 resources (and growing) and each one is perfectly organized by unit so you know exactly how to teach each lesson from Day 1 of the school year to Day 180. In between, your year will be filled with activities that both you and your students will love. 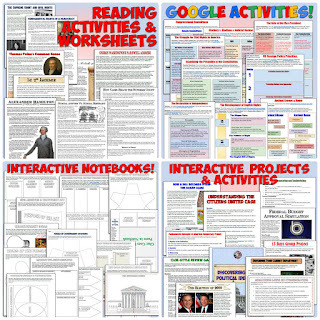 There are countless projects, visually-engaging PowerPoints with editable guided notes, reading guides and worksheets, hands-on interactive notebook pages, Google Drive activities, and much, much more. Click on any of the links above for an in-depth preview of each unit. Every resource in each unit is perfectly organized by day, with multiple activities to use during each class period. Every unit begins with lesson plan/directions file with suggestions for each day along with warm ups, links to online videos, tools, games, and more! You even get an editable syllabus with links to 2 free online textbooks, a pacing guide for the whole course with what to cover every day, midterm and final exams, review materials, and more! Everything you need for the whole year is at your fingertips. You can download this fantastic curriculum here and start right away!